SEEUTechpark is a technology park located on South East European University premises in Tetovo, Macedonia. It was created with the vision to create the most suitable conditions that stimulate the creation of new start-up companies. Furthermore, SEEUTechpark plays a strong role in creating synergies between new and existing companies thus encouraging the growth of established SMEs and startups alike. This in the long rum will achieve the ultimate goal of create new job opportunities for the region and beyond. 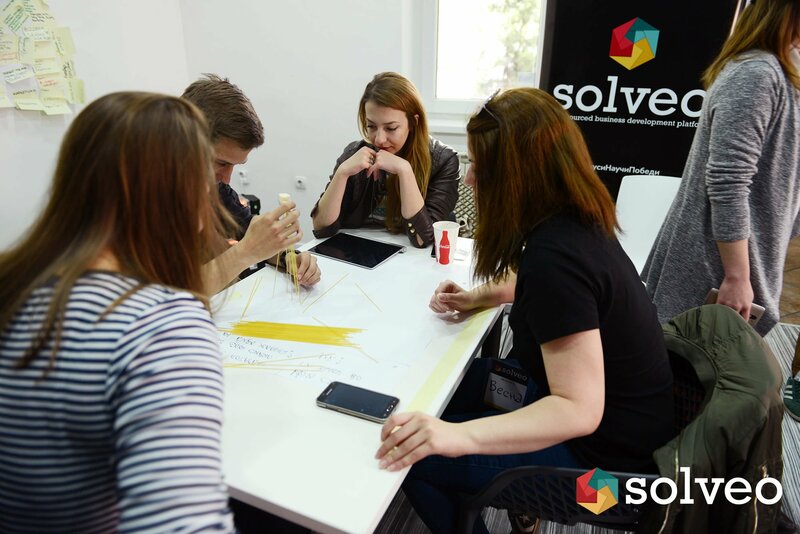 SEEUTechpark in collaboration with Solveo wanted to create a Macedonian startup database. 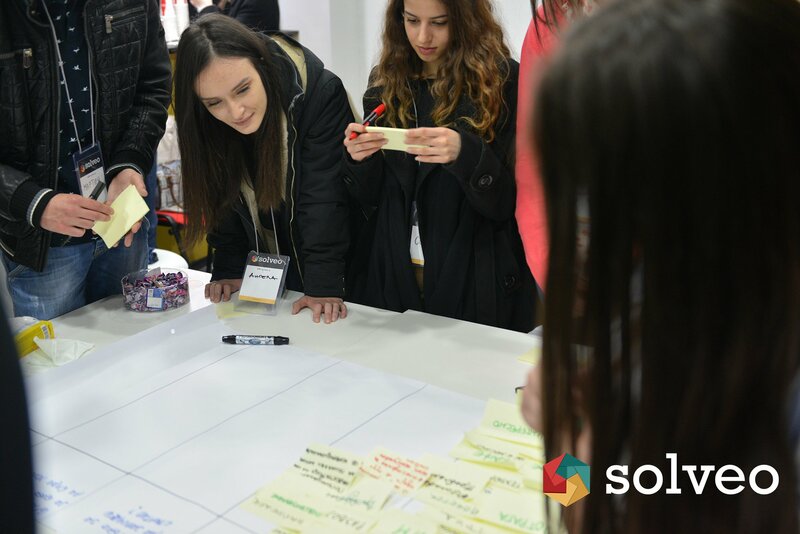 As this was a very important project, we decided to call upon the driving force of our community, the Solveo visionary students of Macedonia. The challenge was to create the most accurate database of Macedonian startups and to create a digital platform out of it. 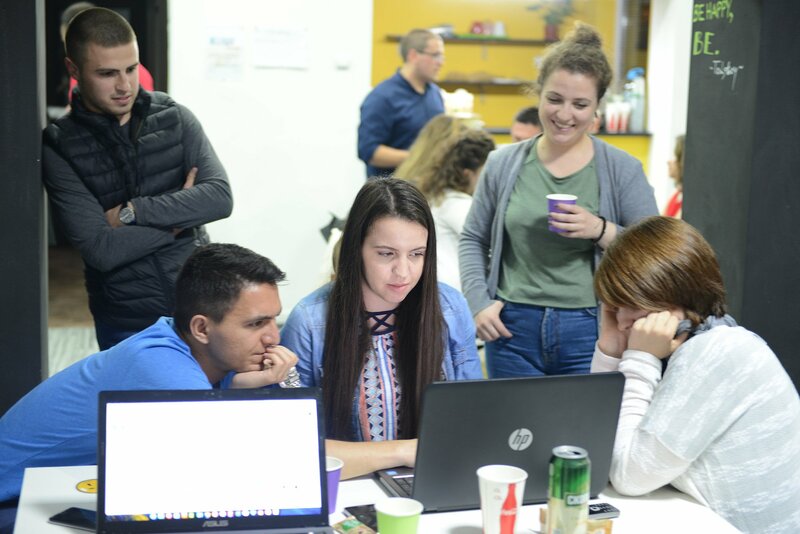 Through the creation of such a platform, the students would be helping Macedonian entrepreneurs/startups network with potential investors and promote their businesses. Create the database: Contact local startups to verify the information and create their profiles. 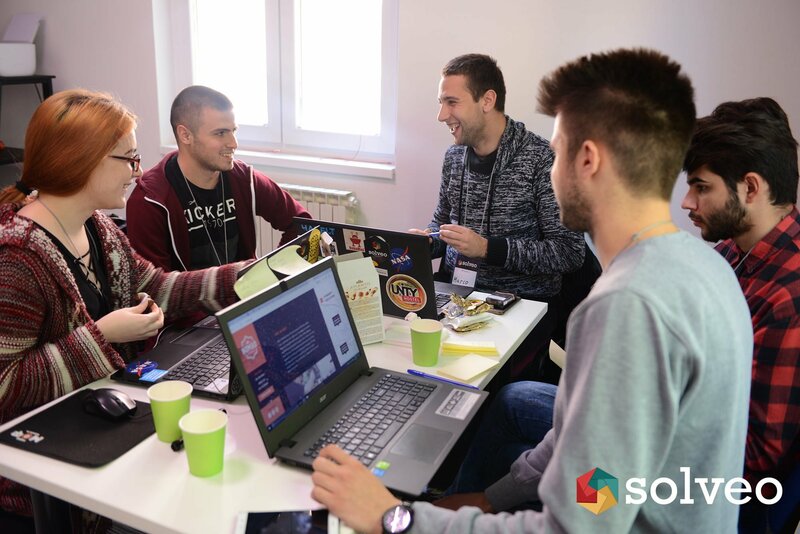 During the three week project, four multidisciplinary teams of five participants together with the Solveo team and different industry experts worked on creating a digital platform from the most accurate database of Macedonian startup companies. 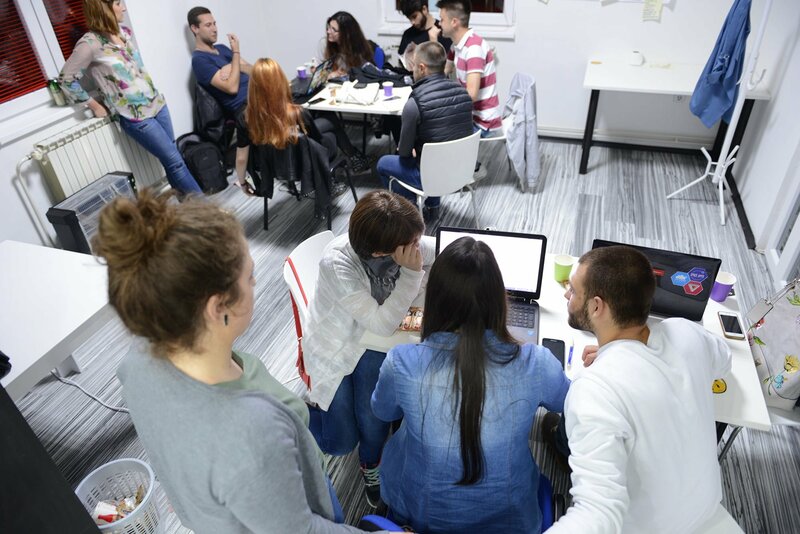 The project kicked off with the participants obtaining a better understanding of what means to start a startup and what is the current state of the ecosystem in Macedonia. After getting this foundational knowledge on the topic the participants were introduced to different actors in the local ecosystem. They got the chance to meet in person and interview entrepreneurs/startup founders, local institutional and angel investors, and the local startup community association. 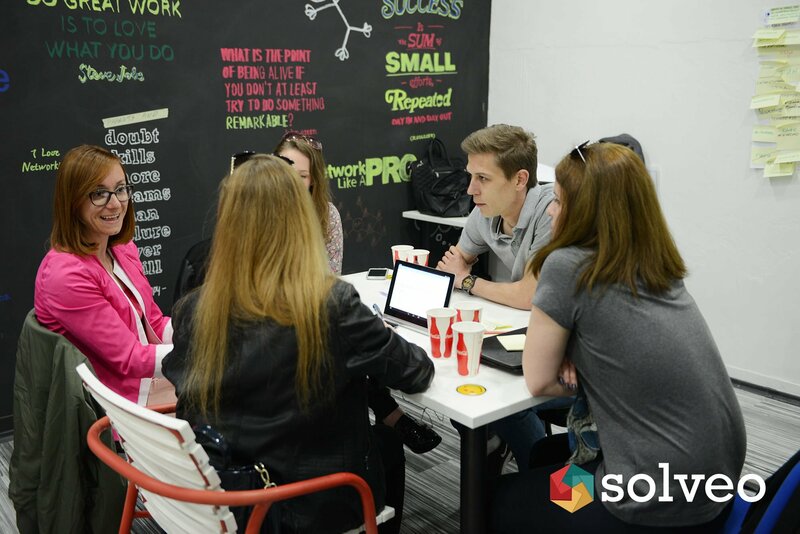 The thorough research phase was intended to inform the team’s decisions on creating a strategy and action plan for creating a scalable and viable business model that can help Solveo grow globally. All the teams developed novel strategies, they contacted different potential partners and designed different digital platforms that would facilitate the growth of Solveo regionally and globally.